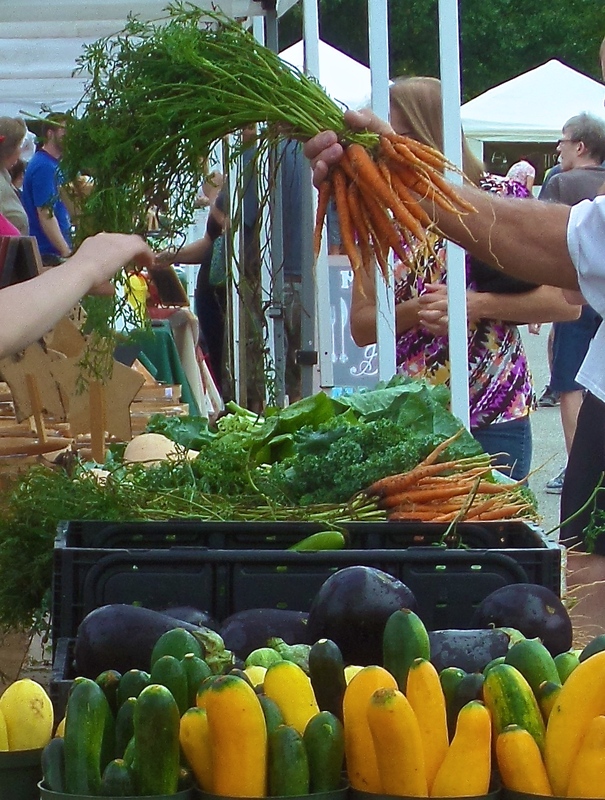 We were up bright and early last Saturday to visit our local farmers market. The tables were piled high with colorful root veggies, leafy greens and bright tomatoes. But I was on a mission–in search of late summer artisanal cheese. 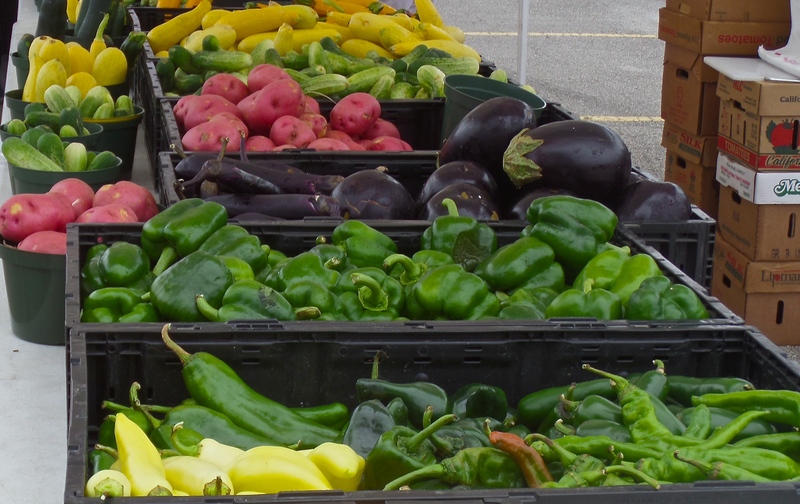 My farmers market within easy reach is the well-established Grogan’s Mill Farmer’s Market in The Woodlands, located in the parking lot of Grogan’s Mill Shopping Center. 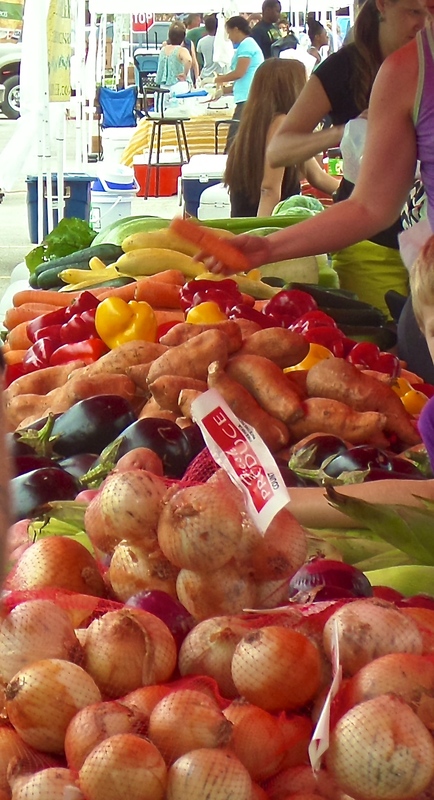 Not large, but with a great variety of vendors, you can find everything from farm fresh eggs and meats to olive oils, locally roasted coffee, homemade preserves, and, of course, local fruits and vegetables. So what’s so special about cheese at this time of year? Late summer is the peak time for enjoying cheese made from grass-fed milk. Eating all that sweet grass during the warmest months means that goats, cows and sheep are producing their best milk–sweeter, richer, more flavorful than at other times of the year. That’s why fresh cheeses are the thing to buy right now. These include Italian burrata and Buffalo mozzarella, French chevre and Greek feta. Fresh cheeses are generally milder, softer and more perishable than aged cheese. They should be enjoyed within a week or so of their purchase. …and there, amongst the stacks of olive oil soap bars, the baskets of butternut squash and the warmers full of homemade tamales, we found a lone purveyor of local goat cheese. 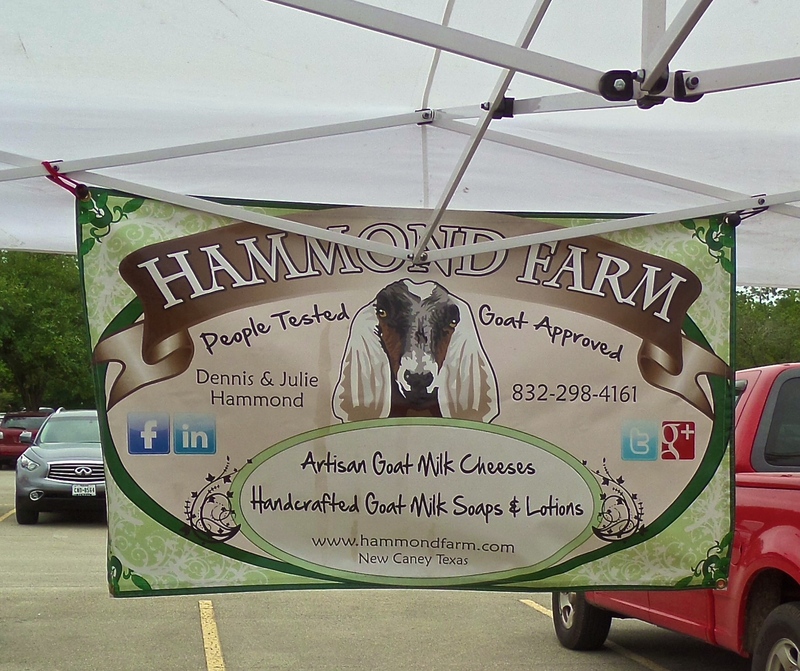 The family that owns Hammond Farm of New Caney, Texas has milk in their blood, so to speak. According to their website, in the early 1900s, part of the family owned a dairy in the unincorporated community of Aldine,Texas, just north of Houston, and an aunt raised Nubian dairy goats near Tomball many years ago. 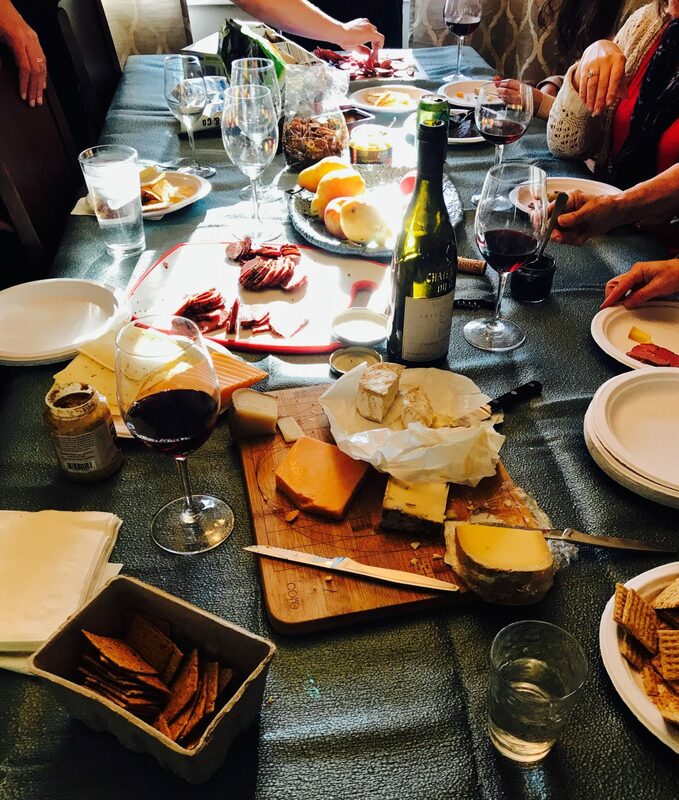 The Hammonds make their cheeses by hand in small batches, the mark of an artisanal cheese maker. We sampled a few of their chèvre-style cheeses, which were blended with fruits, herbs and spices. We had intended to purchase our cheese, then store it in a cooler we had brought along and continue with our day. Instead, we bought a big bag of split bagels from the bakery at the grocery store across the parking lot and headed back to the house. 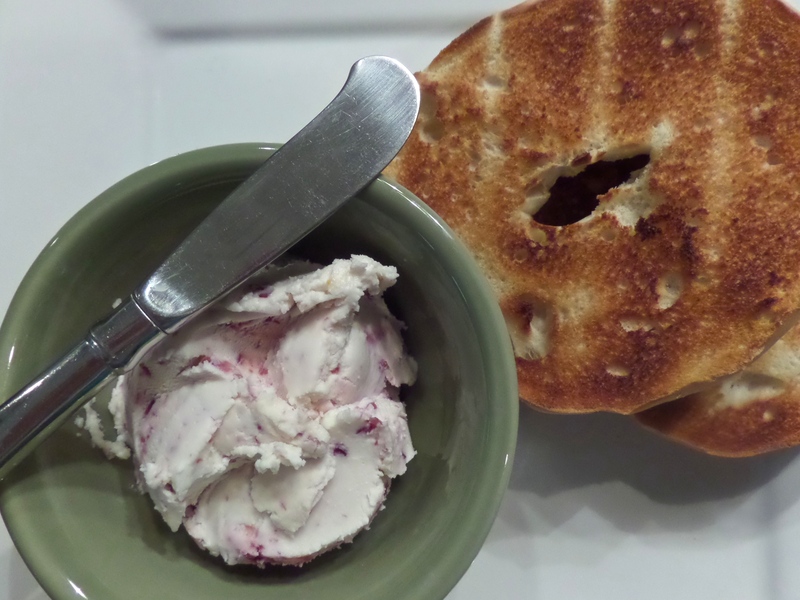 By the time we unloaded the car and toasted our bagels, the cranberry chèvre was soft enough to spread easily. The cheese was creamy and rich. It had a tangy, earthy quality that is inherent in goat’s milk cheeses. 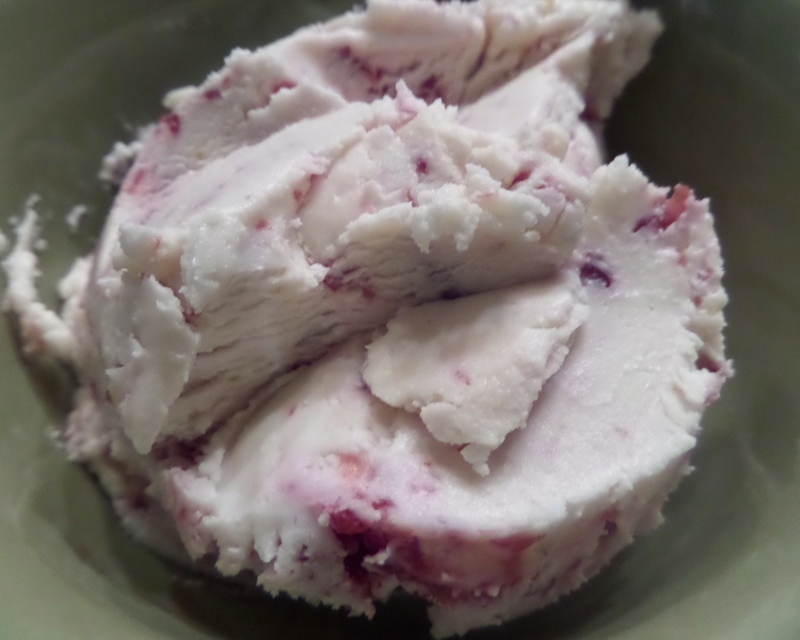 The cranberries gave it added flavor and texture, perfect for breakfast. 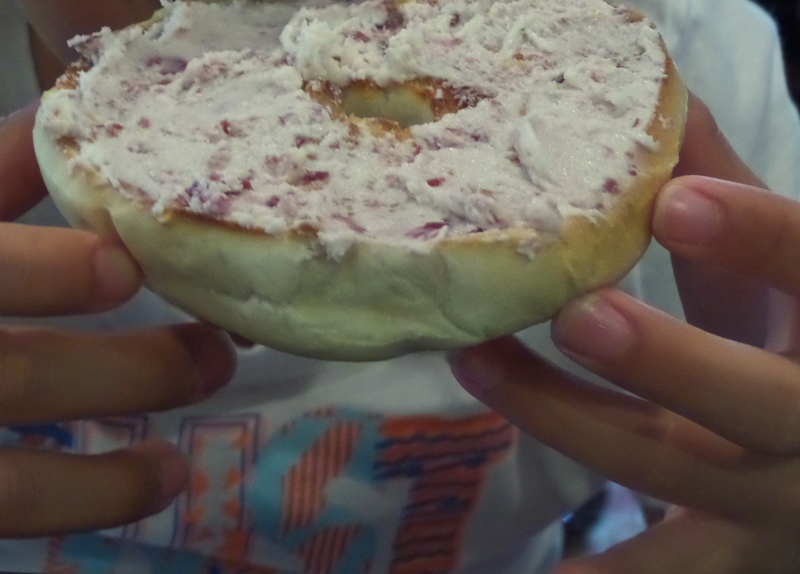 You know it’s good when a little girl who doesn’t like a lot of dairy foods eats an entire bagel slathered in chèvre. We also taste-tested the feta, comparing it to our favorite brand from the grocery store that was already on hand in the frig. 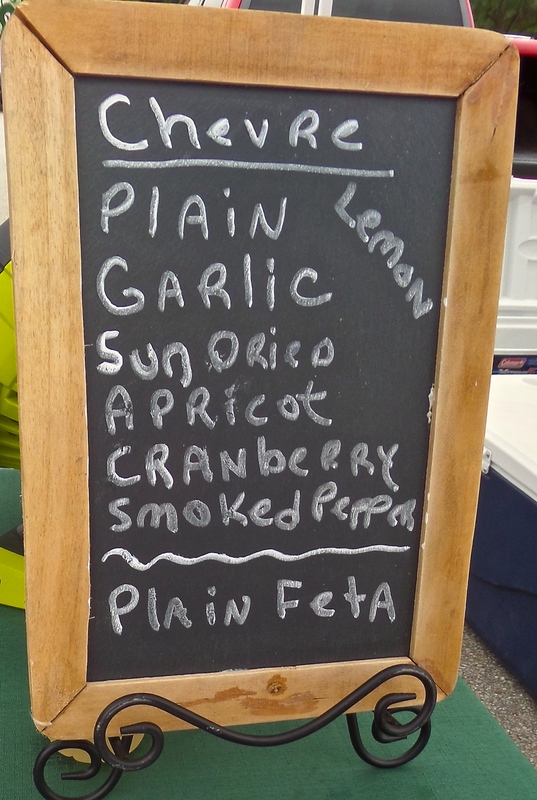 The local feta was more flavorful, creamier, and sweeter. Finished with breakfast, we headed back out to run the day’s errands. A few hours later we pulled out of the parking lot at The Woodlands Mall, new school clothes and shoes checked off the list of late summer to-dos. Up ahead of us at the light was the lady from Hammond Farm, her small “cheese trailer” in tow, the farms’ logo emblazoned on the back. Maybe she was done for the day, or maybe there was another farmers market yet to visit. I hope another family enjoyed the simple pleasure of a little fresh cheese for breakfast that morning. I’ll be back to try the apricot chèvre before we run out of summer.